This level has medium difficulty. 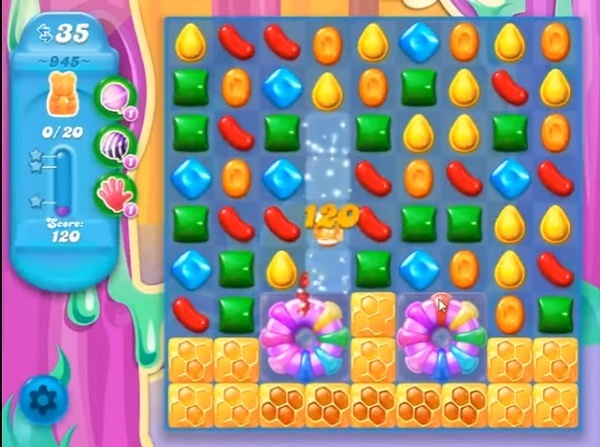 For this level try to play more near to cake or make special candy. Combine special candies with each other to break more honey blockers to save the bears. Cakes explode wheen two colour bombs are combined. The video correct. But the chance to get two colour is very low. Can’t get through it either.